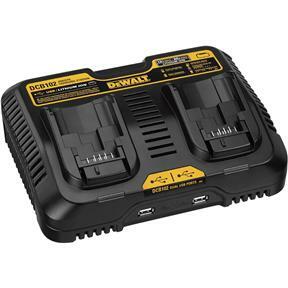 This DeWalt Jobsite Charger has two ports that charge simultaneously (4 amp charge rate) as well as two 1.5 amp USB port for charging your phone or other electronics at the same time. Full compatibility with all 12V and 20V MAX batteries and charges from 30 minutes on the 1.5Ah 20V to 90 minutes for the 5Ah 20V. 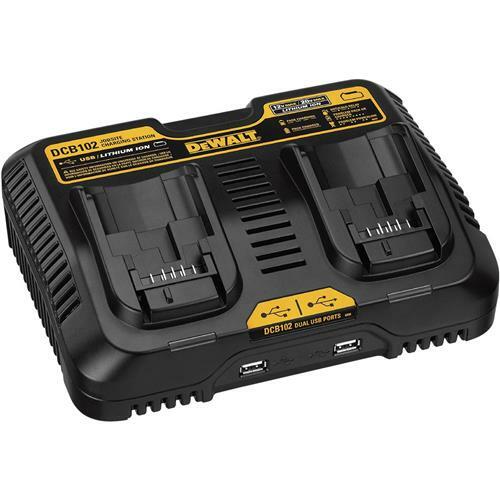 Compact and lightweight, this charger is indispensable around the home or the job!